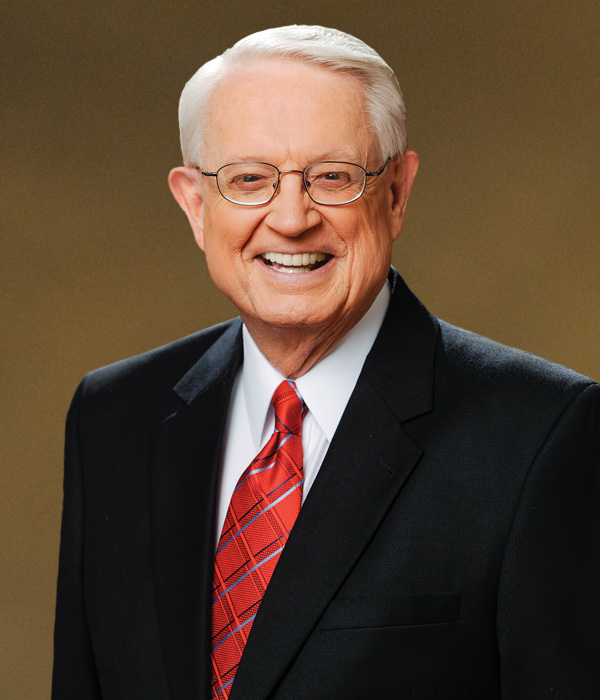 Charles R. Swindoll has devoted his life to the accurate, practical teaching and application of God’s Word and His grace. A pastor at heart, Chuck has served as senior pastor to congregations in Texas, Massachusetts, and California. Since 1998, he has served as the founder and senior pastor-teacher of Stonebriar Community Church in Frisco, Texas, but Chuck’s listening audience extends far beyond a local church body. As a leading program in Christian broadcasting since 1979, Insight for Living airs in major Christian radio markets around the world, reaching people groups in languages they can understand. Chuck’s extensive writing ministry has also served the body of Christ worldwide and his leadership as president and now chancellor of Dallas Theological Seminary has helped prepare and equip a new generation for ministry. Chuck and Cynthia, his partner in life and ministry, have four grown children, ten grandchildren, and seven great-grandchildren. While on the island of Okinawa during his tour of duty in the United States Marine Corps, Chuck recognized that the Lord was calling him to devote his life to the gospel ministry. With Cynthia, his partner in life since 1955, Chuck has devoted himself to the challenge of communicating practical, biblical truth and its application in the context of God’s grace. Chuck’s congregation extends far beyond the local church body. Through the Insight for Living broadcast, Chuck’s teaching is on the air in every major Christian radio market in all 50 states and through more than 2,100 outlets worldwide in numerous foreign languages, and it is also available to an exploding online and podcast audience. While Chuck serves as chairman of the board, his wife, Cynthia, serves as president and chief executive officer of Insight for Living Ministries. They have directed its expansion to become one of the leading radio programs in Christian broadcasting. Headquartered in Frisco, Texas, Insight for Living Ministries now has a staff of over 90 employees. We also maintain offices in Boronia Victoria for our Australian listeners, in Brasilia for our Brazilian listeners, in Vancouver for our Canadian listeners, and in London for our listeners in the United Kingdom.